The Merchantnavyofficers Website and LOF News Website is indebted to Mr. John Kulukundis for first of all contacting MNO and secondly for informing his father Mr. Miles Kulukundis of its existence. Miles Kulukundis contacted us and subsequently provided the information which follows. In 1992 the Kulukundis Family decided to move all its tanker operations to Bermuda. Miles Kulukundis stated at the time that the move was not a tax avoidance exercise, escaping to the more moderate rates of tax in Bermuda, but the need to access non-UK capital markets to broaden its equity base. After all the Company had more than enough tax losses to offset against UK taxes. He also believed that the London investment community did not have an appetite for shipping investment. He added that London and Overseas Freighters PLC despite being listed on the London Stock Exchange had been unable to attract overseas investment which was interested in tanker investment at the time. The move to Bermuda placed London and Overseas Freighters PLC in a position where it could tap in to the International market far easier than it could had it been based in the UK. 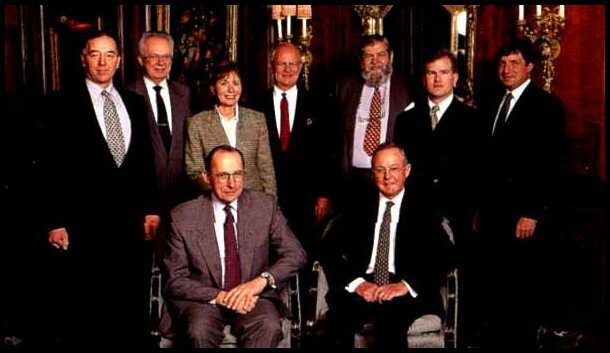 Having watched other tanker companies raising money in the international markets, the Directors during the summer of 1993 decided that the time was right. Through the auspices of Furman Selz Incorporated and Natwest Securities the Company placed 5 million new shares at $15 a share, they were split 60% New York, 40% London. The issue was an immediate success trebling the Company’s capital base thus allowing it to plan for the future and also enabling London and Overseas Freighters PLC to seriously consider a Fleet enlargement. 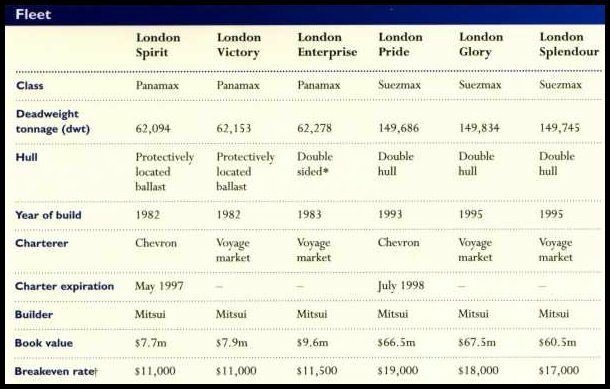 In the prospectus the Company had made it clear to potential investors that it intended to purchase a sister ship for London Pride which they had taken delivery of in 1993. 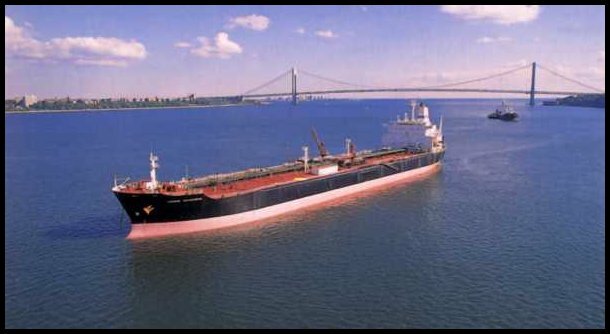 The new ship was to be called London Glory and was contracted in November 1993 for delivery in May of 1995. 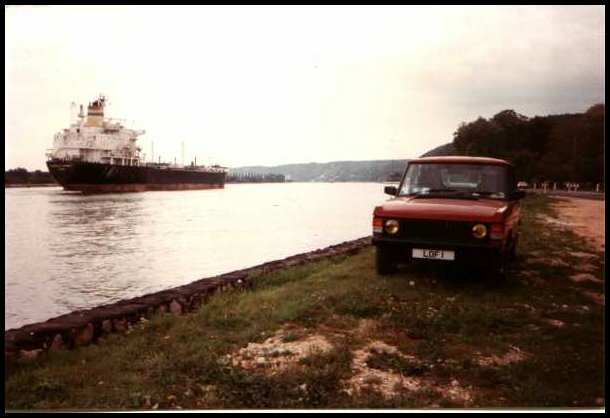 It also intended to buy one or two second-hand Panamax tankers built post 1984. Unfortunately the price wanted for these tankers was prohibitive. Because the price of new buildings was falling some 10%, London and Overseas Freighters PLC decided at the beginning of 1994 to take up its option with Mitsui of Japan for a third ship .. Built 1993 by Mitsui, delivered Mid- July. In deciding to take up the new build option Miles Kulukundis stated that the Company would have far more confidence in the new ship as to that of a second-hand one. 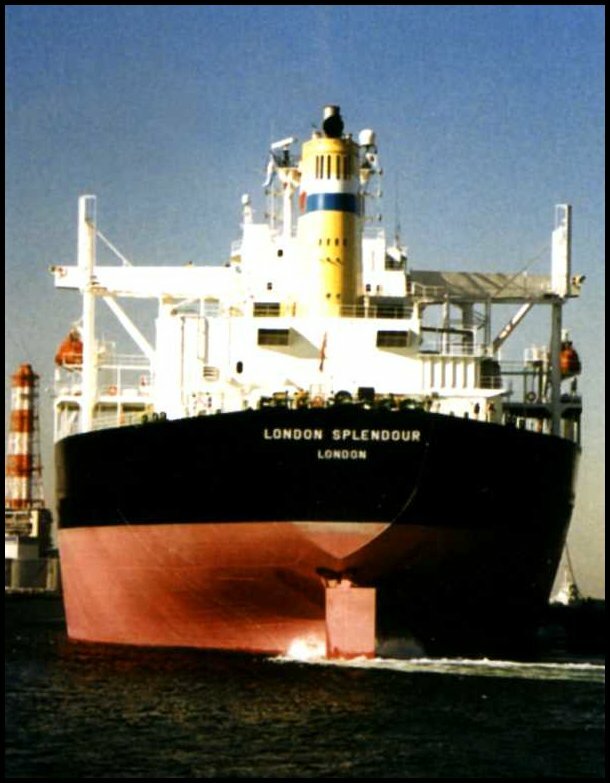 The next ship was to be called London Splendour for delivery in December of 1995. 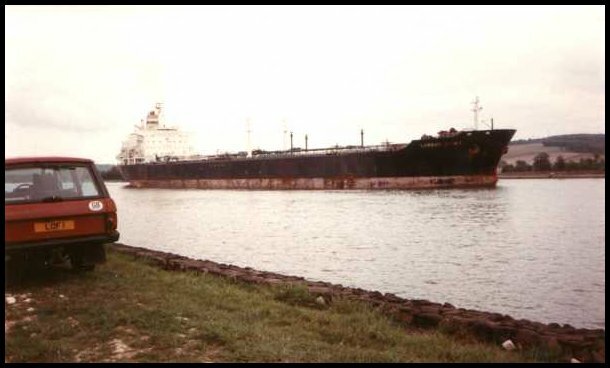 For the financial year ending March 1994 London and Overseas Freighters Ltd were able to report profits of $4.2 million of which a substantial amount was due to the time charter which the London Pride had with Chevron. Also the spot earnings enjoyed by London Enterprise has risen from $8,000 a day to $13,000 a day between them contributing some $2 million of the Company’s profits. These profits were the highest the Company had recorded in six years. Hull: Double Sided, Epoxy Coated Tanks. 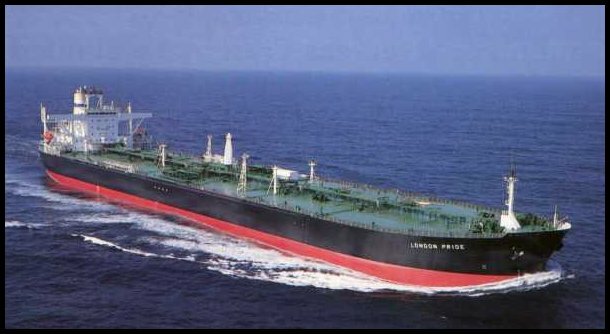 Meanwhile London Spirit and London Victory were continuing to operate successfully under their respective Chevron charters often acting as lighters at Chevron Pascagoula Refinery. The VLCC’s would anchor offshore and offload their cargo into Spirit and Victory who would in turn deliver it to the refinery. Also this year Gilbert Massac who had previously been the CEO of Compagnie Generale Maritime and before that CEO of Gazocean joined the Board of Directors. Two Directors stepped down from the Board. 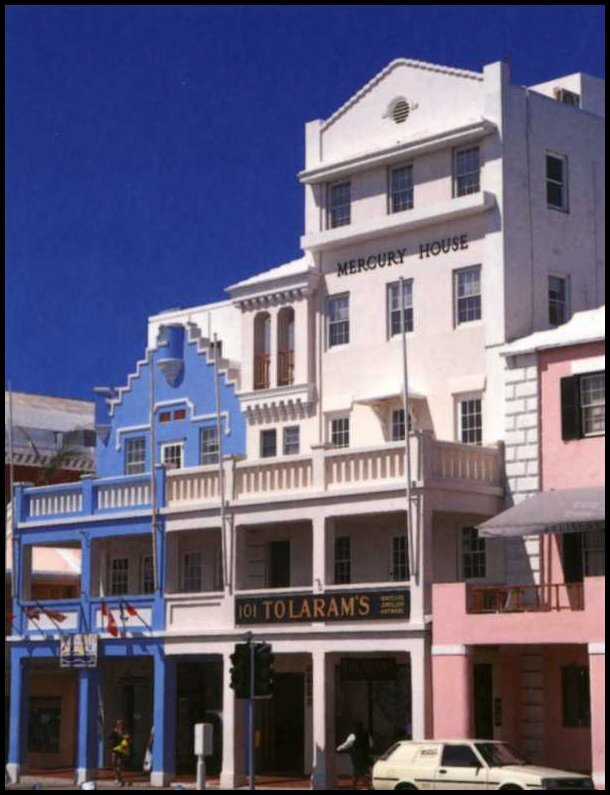 They were Alec Anderson and John Collis who had joined the Board when the Company moved to Bermuda. Both were to continue as the company’s legal advisors. 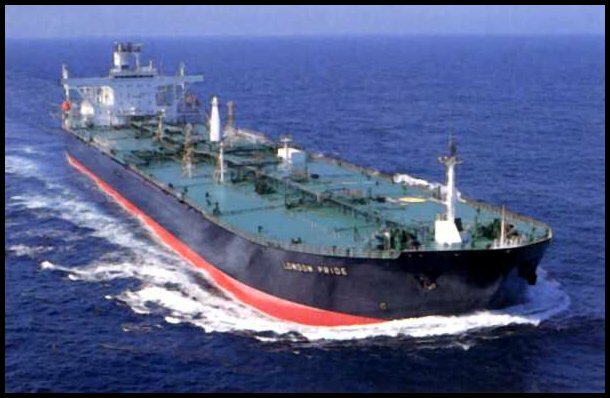 With oil consumption expected to grow over the coming three years by 4.6% and an expected increase by OPEC in production of 10.3% which historically was matched by a similar growth in tanker demand London and Overseas Freighters Ltd felt that it was comfortably placed to continue its growth and maximise its profits. Along with the US economy continuing to grow, oil consumption growing 5.7% and its own production falling by 7.1% coupled with continued demand for higher standards and specifications for ships entering its ports all led the Board to feel that at last they had turned the corner. For the coming year London and Overseas Freighters Ltd Fleet charter commitment was 82% of its tonnage though this was expected to fall to 34% in 1995/96., Because London and Overseas Freighters Ltd Fleet met all the safety standards set by the US, Miles Kulukundis was optimistic that there would be a shortage of quality tonnage on the market and that London and Overseas Freighters Ltd was well placed to take advantage. His closing statement in the 94 Annual report was that he looked forward to the broadened opportunities that this year’s activity had provided and felt confident that our hopes and expectations would be achieved. London Enterprise served mainly the trades with California which utilized half of her voyages. London and Overseas Freighters Ltd believed that the cost of the high operating standards which were required by their clients in California were matched by the payments received for the use of the Company’s vessels. During the year under review 94/95 the four vessel Fleet had transported 4.1 million tons of cargo on 72 voyages, of this 86% was either loaded or discharged in the US and of that 57% involved California. 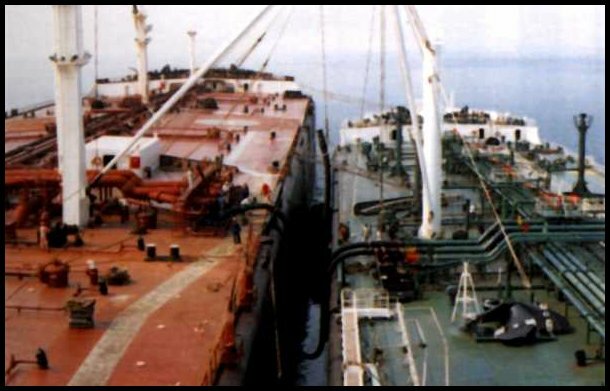 The tanker Industry as a whole were experiencing difficulties with some 16 million tons of tankers being sold for scrap which included 40 VLCC’s this represented 2% of the World tanker fleet. 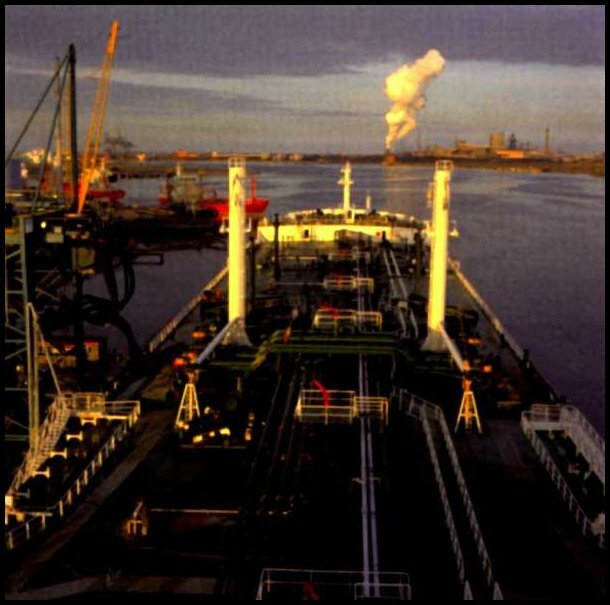 One of the reasons given for the downturn in demand for tankers was a substantial increase in production in the North Sea and the subsequent redirection of Middle East oil to the Far East, thus reducing voyage time which naturally reduced vessels required. Sadly in June of 1995 the very remunerative charters of London Spirit and London Victory came to an end, the profits which these two ships were able to exact underpinned all the Corporate developments which took place in the preceding five years. Also Chevron closed down two of its refineries reducing its tanker requirement. Fortunately London and Overseas Freighters Ltd were able to secure a two-year renewal of charter for London Spirit albeit on reduced terms. London Victory entered onto the Voyage Market and the Company was confident as to her future if London Enterprise’s experience was to be used as a yardstick. London Glory seen below under construction was delivered on the 31st May after successfully completing her sea trials . London Splendour was set for delivery on the 6th of December. It was expected with no time charter arranged for the two aforementioned ships that they would both enter onto the Voyage Market. It was anticipated that the two ships would be used in the Atlantic Basin delivering oil from the North Sea, Mediterranean and West Africa to the United States. The Company’s time charter coverage was set to fall from 82% to 44% for the year 1995/96. 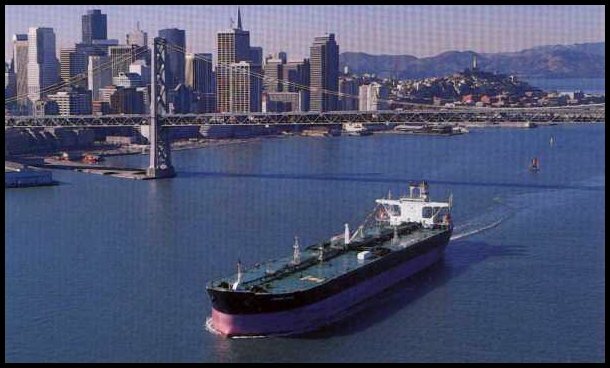 Up to 80% of all oil transported in the US trades was of the voyage contract type, London and Overseas Freighters PLC time charters with Chevron were the exception to the rule and earnings from these charters had significantly contributed to London and Overseas Freighters PLC well being. However the Company looked to the future with some uncertainty because having only one ship on time charter and the rest on the Voyage Market earnings were expected to fall. Two new Directors were appointed to the board 94/95. They were Mr. Douglas C. Wolcott and Mr. David Ezekiel both had extensive experience which were pertinent to the Company’s operations. Miles Kulukundis in closing his report 94/95 remained upbeat about the Company’s prospects and he believed that further time charters at more favourable rates would once more manifest themselves. The year 1996 unfortunately began tinged with sadness with the death of the Company Chairman Mr. Derek Kimber who died in December 1995. Mr. Kimber had joined London and Overseas Freighters PLC in 1972 as Chairman of Austin Pickersgill its shipbuilding subsidiary. London and Overseas Freighters Ltd also experienced a large drop in its profits which had resulted in the suspension of dividend payments in respect of the last two quarters. Dr. Ian McGrath was appointed as the new Chairman of London and Overseas Freighters Ltd, his previous career was entirely spent with Royal Dutch/Shell and was Managing Director of their Marine Division, Shell International Shipping until his retirement in 1995. 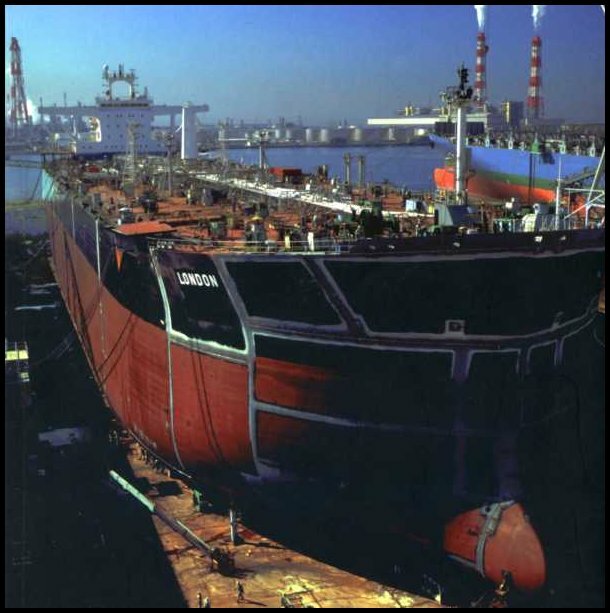 London and Overseas Freighters Ltd Fleet performance was affected by the loss of the two Chevron charters, the two positioning voyages of London Glory and London Splendour from Japan to the Atlantic Basin, also London Enterprise had undergone her first refit. All these problems added up to a fall in profits from $8.4 million to $1.8 million. Also with the delivery of the two Suezmax tankers the company’s interest on the loans outstanding had increased quite dramatically. On the plus side the Company’s ships had only been off hire on an average of one day each for the year, in the current market extremely commendable. The President, Miles Kulukundis again paid tribute not only to the builders and designers of the Company’s ships but also to the operating personnel in whose hands the fortune of the Company truly lay. During the year 1995/96 the fleet had transported 5.4 million tons of cargo on 79 voyages with the majority of voyages on the US trades. A welcoming sign was that there was also an upturn in demand from European charterers for voyages from the North Sea. London and Overseas Freighters Ltd looked forward to an upturn in profits in the coming year as its debt level and interest costs had peaked, the Company’s ships had commenced the first quarter at improved rate levels and the demand for modern vessels with high quality operation was increasing. In March and April of 1997 London and Overseas Freighters Ltd entered into negotiations with Frontline Ltd formerly Frontline AB, a Swedish Shipowning company recently registered in Bermuda. Frontline operated a substantial fleet of 24 vessels which comprised nine OBOs, five VLCC’s, five Suezmax tankers, three woodchip carriers and two dry bulk ships. In February Frontline’s Board had decided that it wanted to become one of the World’s largest publicly traded tanker owning companies and had decided the best way forward was one of amalgamation with other like minded companies. Various meetings took place between Frontline, London and Overseas Freighters Ltd and both companies’ financial advisors, London and Overseas Freighters PLC had also entered into discussions with another company. London and Overseas Freighters Ltd asked Frontline to submit their final proposal and on the 4th of June Frontline submitted an all stock merger proposal. On receipt of this proposal Frontline were advised that London and Overseas Freighters PLC had decided to pursue discussions with the other company. On the 23rd of June Miles Kulukundis met with Tor Olav Troim to discuss an improved offer from Frontline. After the meeting Miles Kulukundis indicated that London and Overseas Freighters Ltd would give the offer serious consideration. On the 8th of July Frontline submitted its revised bid to London and Overseas Freighters Ltd’s financial advisors Natwest which proposed a business combination of the two companies in an all-stock transaction, London and Overseas Freighters Ltd then entered into an exclusive agreement with Frontline for the following thirty days. However on the 23rd of July Frontline revised their bid whereby it proposed to purchase 51% of the Ordinary Shares in London and Overseas Freighters Ltd. The only reservation to the proposal which London and Overseas Freighters Ltd insisted on was that its shareholders had the option to choose cash or stock. After several weeks of negotiations both parties agreed to proceed on the basis of the two-step transaction. On the 1st of September Frontline announced its intention to purchase I.C.B. Shipping a Swedish tanker owner and operator four days later London and Overseas Freighters Ltd’s board indicated that its general consensus was in favour of the amalgamation subject to various issues. On the 19th of September the Boards of both companies agreed to proceed with the amalgamation and jointly issued a Press Release announcing the merger on the 22nd of September. Now why the word amalgamation was still in use at this particular part of the story I’m not really quite sure, because after agreeing to purchase 51% of London and Overseas Freighters Ltd surely takeover would have been more appropriate. It was accepted at the time that Frontline’s Chairman and CEO Mr. John Fredriksen had never envisaged a joint venture but desperately wanted to own the last three double skinned tankers which London and Overseas Freighters Ltd had recently taken delivery of. It also was believed that he wanted the LOF’s US stock listing and that he envisaged a large amount of goodwill passing to his own operation. In any event the deed was completed on the 1st of November 1997, ironically it came the day after the Managing Director of London and Overseas Freighters UK Mr. Noris Jackson retired, Mr. Jackson’s wife had performed the naming ceremonies at the launch of London Splendour two years previous. Only two non-Executive Directors of the Board joined Frontline and that was briefly. A few of the Office Staff were retained for a short while and the sea going Staff either faced redundancy or employment through a recruitment agency whose conditions I doubt matched those of London and Overseas Freighters Ltd. The prefix ‘London’ also disappeared from the names of the three remaining Suezmax ships which are now called Front Pride, Front Glory and Front Splendour. The other three ships were sold to other Greek tanker operators and they continue to trade in the Caribbean/US trades as they had done for LOF. The Kulukundis family still have Marine involvements through their Company Rethymnis and Kulukundis Ltd which I believe celebrated their one hundred and fiftieth anniversary in 1998. Despite the very different operating philosophy held by Frontline and John Fredriksen, the merger proceeded with remarkable ease as Frontline fulfilled all it’s obligations under the amalgamation agreement. This included their obligations for redundancy payments which were met in full without any question. This was a matter of the greatest importance to the Directors who recognised their responsibility to all the company’s personnel afloat and ashore. It is interesting to see that Frontline and John Fredriksen have gone from strength to strength in the time since the amalgamation. As a footnote and tribute to the London and Overseas Freighters Ltd Staff I finish with the following paragraphs from the London and Overseas Freighters Ltd final financial report dated 31st March 1997. The Company considers its personnel a key element in the successful implementation of its business strategy. The reliable and efficient operation of its vessels is the key to charterers acceptance and that operation is dependent on the personnel on board the vessels. The Officers on board its ships are all employees of the Company. Many of these Officers have spent much of their careers with the Company and have extensive experience in U.S. trades. At August 29, 1997, the Company had 144 employees (exclusive of the lower ranks), of whom eight were executive and management personnel, 10 were in administrative and clerical positions, and 126 were seagoing staff. The average number of employees during fiscal years 1997, 1996 and 1995 was 175, 147 and 129, respectively. 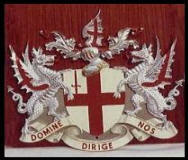 All Officers serving on the Company’s vessels are British, including Junior Officers and cadets. Lower crews for the company’s vessels are obtained from crewing agencies and traditionally have been drawn from India and the Philippines. While some of the Company’s sea Officers are members of the National Union of Marine, Aviation and Shipping Transport Officers (“NUMAST”), the Company has never experienced any work stoppage or labour disturbance and considers its relations with its Officers and crew to be excellent. NOT QUITE THE END OF STORY……. Taken about ten miles down river from Rouen. At the time the vessel was on a monthly run to Rouen with Veu crude for the production of lube oil. Reads: MT London Spirit new ‘cart storesmobile’, pneumatic tyres, zero gallons petrol, speed depends on trim, with S.K. Abbas S.K Hossain, E.R. 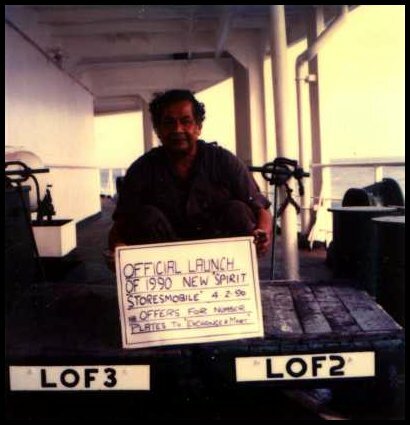 Serang, Longest serving, LOF Crewmember, since 1951. 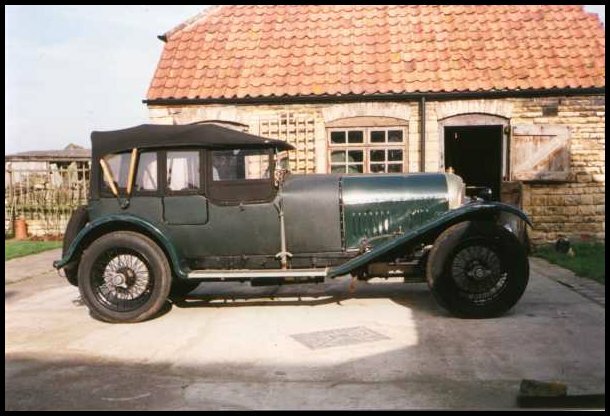 I had first contacted Mr. Jackson because I believed that the LOF 1 registration plate was on this 1925 3 litre Bentley which he has owned for forty years. Alas the plate as you have seen is on the Range Rover. 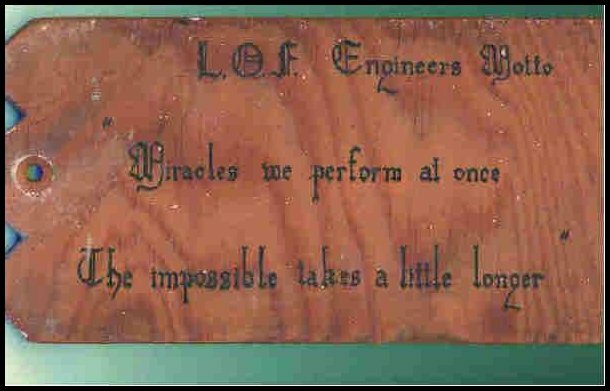 Sign taken from above the Engine Room Workshop door of the old Twin Screw Tanker London Independence understood to have been out there by Mr. Norris Jackson when he was Chief Engineer of the ship. Bill Manson who acquired the sign offers it back to Mr. Jackson if he would like it. 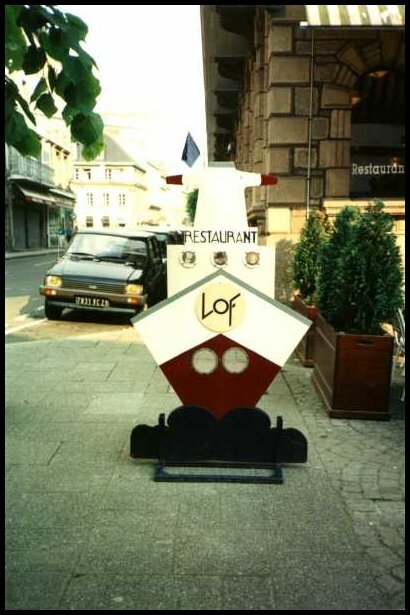 It is currently in possession of the LOF News Editor – Roy Gerstner. While leafing through a box of papers late last night I came across the following two actual documents from the past of London & Overseas Freighters Ltd. The first was a fax sent to the office by the officers of the M/T London Spirit upon her sale to Pegasus (Peraticos) before the sale of LOF to Frontline. To: London & Overseas Freighters (UK) Ltd.
Subject: LONDON SPIRIT DEPARTURE FROM THE FLEET. WE HAVE LEFT THE KEYS FOR THE SHIP UNDER THE FRONT DOOR MAT AND WE HAVE TURNED OFF THE LIGHTS BEFORE HEADING FOR THE AIRPORT, HOPEFULLY CLUB CLASS TRAVEL, BUT NOT HOLDING OUR BREATH THOUGH. BOB (BLAKE) AND VEL (ATHENS) HAVE A SPARE SET IF NEEDED. PLEASE ASK THE NEW OWNERS TO WATER THE PLANTS ALTHOUGH THE SHIP'S CAT HAS BEEN GIVEN IT'S FREEDOM IN CASE THEY EAT HIM. THE PETROL TANKS ARE FULL AND THE SHIP IS READY FOR THE SLIPPERY DOWN HILL SLOPE. THE OLD GIRL GETS A NEW NAME TODAY "ELEANORA" OR "BLOODY NORA" ALTHOUGH WE CAN'T QUITE REMEMBER WHICH BUT KNOW THE MOST APPROPRIATE. 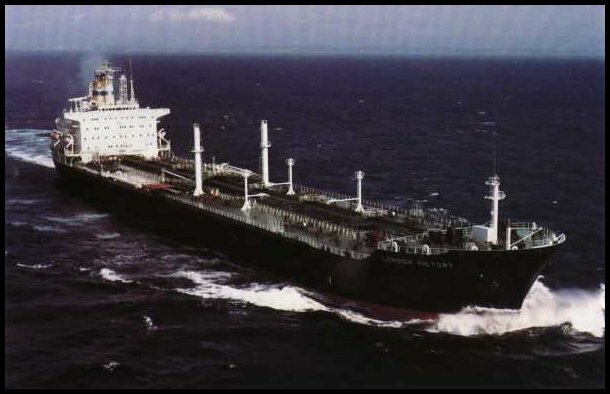 FOR THOSE WHO APPRECIATE TRIVIA, THE VESSEL MAIN ENGINE RAN FOR 77,820 HOURS EQUATING TO APPROX 1,200,000 MILES / 150,000 TONS OF FUEL / $16.5 MILLION WORTH OF FUEL UNDER ONE CAREFUL OWNER & SOLD WITH FULL M.O.T. THE EX-OFFICERS OF THE LONDON SPIRIT WISH YOU ALL THE BEST IN THE FUTURE AND HOPEFULLY THINGS WILL TAKE AN UPTURN AFTER CHRISTMAS. The second is an editorial written by yours truly for a humorous onboard newspaper we started on board the M/T London Pride on her maiden voyage having spent three months standing by the vessel during final construction at Mitsui’s Chiba Works in Japan 8 years ago. Our voyage took us from Japan to OPL Singapore for stores, then to the UAE to load a cargo for Batangas, from there back to OPL Singapore for orders. Eventually heading up to Kuwait, just after the little incident with Saddam. Accompanied by the Armilla Patrol we navigated a forty mile mine field into Kuwait, loaded a million barrels of crude and then gingerly headed back out through the mines with discharge orders for El Segundo. On the way across the Pacific we ran out of cigarettes and hit some very unpleasant weather, taking 27 degree rolls for three days…. AS MY VOYAGE ON THE M/T LONDON PRIDE AND EDITORSHIP OF THIS FINE PUBLICATION COME TO A CLOSE, I WOULD LIKE TO TAKE THESE FEW PARAGRAPHS TO REFLECT ON THE LAST ONE HUNDRED AND SIX DAYS. ONE HUNDRED AND SIX DAYS IN WHICH WE TRAVELLED OVER TWENTY EIGHT THOUSAND MILES, CARRYING OVER TWO MILLION BARRELS OF CRUDE OIL. TO KEEP US GOING WE DRUNK APPROXIMATELY EIGHT THOUSAND FOUR HUNDRED CUPS OF COFFEE, THREE THOUSAND FOUR HUNDRED CUPS OF TEA AND USED EIGHT HUNDRED AND FIFTY TWO LITRES OF MILK, FEASTED ON FIVE THOUSAND AND FORTY EGGS; SCRAMBLED, FRIED, POACHED, HARD BOILED AND CURRIED AND CONSUMED ONE HUNDRED AND FIFTY TINS OF BAKED BEANS. BUT THAT'S NOT ALL WE DID FOR FIFTEEN AND A HALF WEEKS, WE OVERCAME, WE ADAPTED, WE MADE THE BEST OF IT. WITH LESS LEISURE FACILITIES THAN PARKHURST PRISON WE IMPROVISED. WITH THE BAREST ESSENTIALS, THIRTY VIDEO CASSETTES AND A ROWING MACHINE DESIGNED FOR PEOPLE WITH ONLY ONE ARM WE MADE DO. WE BUILT PICNIC TABLES TO DINE OUTSIDE, GOLF FAIRWAY ON THE FUNNEL FLAT, COMPLETE WITH WATER HAZARDS, A HORSE RACE COURSE FOR THE OFFICERS SMOKE ROOM, PUBLISHED THE SHIPS OWN NEWSPAPER, STRODE AROUND THE DECK, RAN AROUND THE DECK, MADE INGENIOUS HATS FOR A HAT PARTY, FINGER FOOD FORE BIRTHDAY PARTIES AND MIDNIGHT SNACKS JUST FOR THE HELL OF IT. NOT TO MENTION THE DATELINE CEREMONY CREATED ENTIRELY FOR THIS TRIP, OR THE WIND-UPS, CABIN RAIDS OR DOOR REMOVALS. IF YOU'D ASKED ME AT THE START HOW I FELT ABOUT SPENDING 4 MONTHS ON A TWO HUNDRED AND SIXTY NINE METER, ONE HUNDRED AND FIFTY THOUSAND TON TANKER WITH A LOAD OF PEOPLE I'D NEVER MET BEFORE, I DON'T KNOW WHAT I WOULD OF SAID, WHATEVER IT WOULD HAVE BEEN I DOUBT I COULD PRINT IT HERE. BUT SAILING WITH YOU FOR THE LAST TWO THOUSAND FIVE HUNDRED AND FORTY FOUR HOURS HAS BEEN BOTH A PLEASURE AND AN HONOUR. AS I STOOD IN THE LIFT TRAVELLING FROM THE ENGINE ROOM WORK SHOP TO B DECK, THE FIRST AND ONLY RECIPIENT OF THE LONDON AND OVERSEAS "DATELINE CROSSING CEREMONY" AND HAVING BEEN STRIPPED NAKED IN FRONT OF THE ENTIRE SHIPS COMPANY, RESTRAINED IN VICES, HAD HAIR REMOVED WITH BLUNT SCISSORS, AIR HAMMERS AND OTHER PNEUMATIC DEVICES ATTACHED TO PARTS OF MY BODY THAT THEY SURELY WEREN'T DESIGNED TO HAMMER AND BEEN COVERED IN VALVE GRINDING PASTE, FIRE EXTINGUISHER FOAM, ENGINEERS MARKING BLUE, GREASE, LUBE OIL AND GOD KNOWS WHAT ELSE I FOUND MYSELF SMILING UNCONTROLLABLY AND FEELING COMPLETELY ALIVE. EVEN ON OPENING MY CABIN DOOR AND HAVING IT FALL INWARDS AS SOME KIND FELLOW HAS SEEN FIT TO REMOVE IT FROM ITS HINGES, MY MOOD WAS STILL UPBEAT. I GUESS THAT'S WHAT IT'S ALL ABOUT, REMINDING YOURSELF THAT YOU'RE ALIVE AND THAT EVERY DAY MAY BRING NEW CHALLENGES BUT FACING THOSE CHALLENGES IS WHAT LIVING IS ALL ABOUT. I KNOW A LOT OF PEOPLE ON SHORE WHO COULDN'T GO FAR WRONG BY SPENDING FOUR MONTHS ON THE M/T LONDON PRIDE WITH OFFICER LIKE YOU TO REMIND THEM WHAT BEING ALIVE IS ALL ABOUT. BECAUSE IF YOU CAN'T TAKE A JOKE YOU SHOULDN'T HAVE JOINED, ANYTHING, EVER! AND A FAINT HEART NEVER FUCKED A PIG! WISHING ALL OF YOU EVERY SUCCESS IN THE FUTURE AND A HAPPY CHRISTMAS AND NEW YEAR, WHETHER AT SEA OR AT HOME. Towards the end of 1997, as the ships were being ‘transferred’ or sold, the Company’s Officers and support office staff were gradually made redundant. This to many was a very sad moment in their lives and there was a ‘core’ of Officers and Staff, who had been with the Company for most of their working lives and had seen to ‘fortunes’ of this Shipping Company seesaw on a regular basis. Like many ex British/UK Shipping Companies, their staff looked upon their employer with some ‘loyalty’ and in the case of London & Overseas Freighters, the loyalty was regarded to flow both ways – it is well known that LOF treated their employee’s as part of the company family. As stated by Mr. Miles Kulukundis all obligations were fully met by ‘Frontline’ Â®. In 1998 I was asked by many of my ex LOF friends and colleagues whether I could put together a sort of News-Letter, in order that the LOF Personnel could keep track of one another. This simple News-Letter in printed form was sent out normally once a year after Christmas. What started with 50 or so on the distribution list gradually grew to more than 200. After the 2004 Reunion, I decided that the printed version could not sustain itself, because of the fact of it always being ‘old’ news and the costs of printing and postage were becoming prohibitive, never mind the time it took to gather ‘old’ news. In 2005 I asked around if ‘anyone’ would build up a Website, alas the response was pretty weak!. I did have one offer I must gratefully admit. However since I had a lot of archive material and the contacts to source the archive material, I decided to move ahead and do it myself. This ‘simple’ website suffices our needs at the present time. It costs are a fraction of what a printed News-Letter would cost, and we have the ability of remaining fairly well up-to-date. I would personally thank many people in their support and encouragement they have given me in this project. Especially Mr. Miles Kulukundis, who whenever I ask is more than willing to support my efforts in all respects. Note by the Web Editor Roy Gerstner – The version given is only a short historical extract and if any further information or correspondence comes available this extract will be modified and updated. If any reader can correct any mistake or add details please feel free to contact me via the LOF Website. The article is subject to copyright and permission should be obtained before any part is used, copied, or transmitted in any format.